Hard cover book with pictorial covers, about 10.5" tall by 12.5" wide. 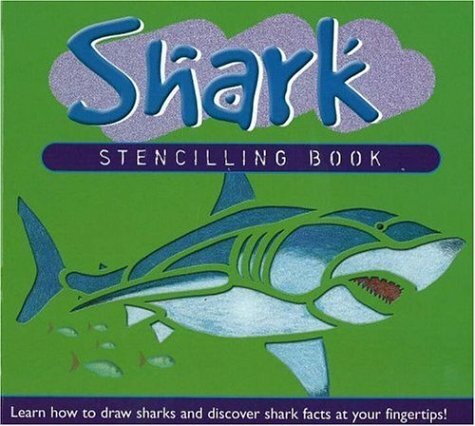 Every other page is a heavy duty stencil enabling depiction of different shark species. Included are Great White, Tiger Shark, Great Hammerhead Shark, Whale Shark, Thresher Shark, and Leopard Shark. Pages opposite stencils offer some facts about the species depicted.